Are you an observer scouring the world to unearth new talent? Are you a tactician the manager sends to the stand to get a better view of the match played? Do you go to watch the matches of opposing teams and need to make a list of their strengths and weaknesses? iDigitalSCOUT is an app for iPad sold directly in the App Store which allows the customer to collect and catalogue all kinds of information on the individual player or match watched, and to import this data to the DigitalLOG video server. DigitalLOG instantaneously synchronises the manual tags collected via iDigitalSCOUT, with the images of the match, making it possible to look at the match action tagged by the customer in just a few seconds. 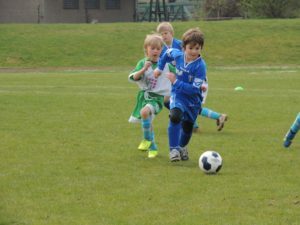 iDigitalSCOUT, used together with DigitalCAM 2.0 and DigitalCAM PRO, is able to tag during a match, the tactical phases of play of particular interest, which would be lost by normal TV broadcasting.